Felt much the same way after seeing the Roses doc this week… nice review. I got on a plane to London to finally see Ned’s Atomic Dustbin a week ago. Such a fantastic time and the band is still youthful and energetic enough. The crowd was insane. Could almost pretend I was a teenager again. 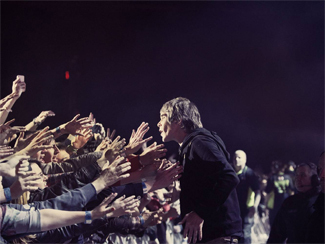 I wouldn’t do it for the Stone Roses though … they’re more likely to make it somewhere closer, and what I’ve seen of the live show … just not worth it.